High visibility and traffic volume on two major arterial roads, zone as CB-2 by Pima County. Flat parcel with abundant parking area. Currently has a brick duplex unit on the parcel for rental income! Note: The county will allow up to 12 mobile homes spaces on this parcel in order to develop a mobile home park. 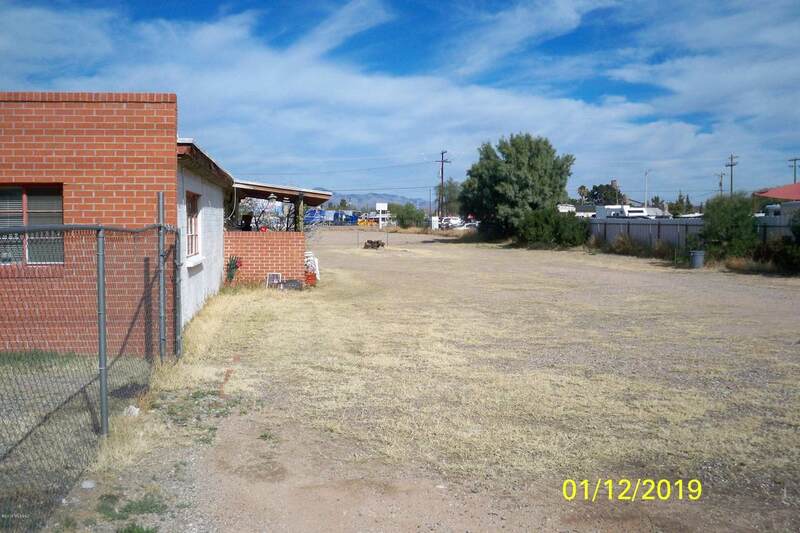 Can be purchased with the parcel to the west to assemble a two acre lot size with approval for 22 mobile home spaces!